There are few moves like interstate moves. Relocating to another state is far more complicated a task than moving within the state in which you reside. However, completing an interstate move does not need to be stressful. All that you need to do is have some professional moving help. 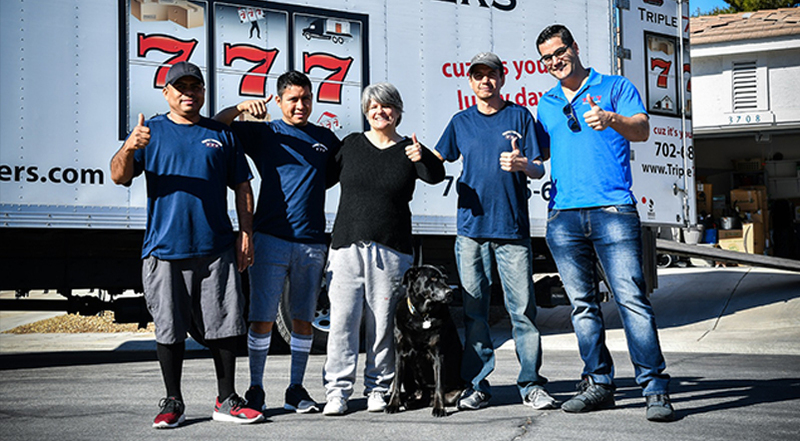 Among the sea of interstate moving companies Las Vegas, Triple 7 Movers Las Vegas is the popular and logical choice when you want a positive and memorable relocation. Our team of professional interstate movers Nevada offers you efficiency, agility and safety when it comes to your belongings. Contact us today to receive a free estimate or schedule your relocation! An interstate move is comprised of many different moving tasks. Your to-do list of yours may expand or shrink. When companies move, the business suffers. On such occasions not only can your business performance be put under a threat, but the lives and families of your employees can hurt as well. There are many people who depend on you. Therefore, you need to make sure to move swiftly. You should and get back to the everyday business as soon as possible. The easiest way to do this is by hiring interstate moving companies Las Vegas for your commercial move to Nevada. Triple 7 Movers are the most reliable moving company that you are going to come by. We are a top-tier moving company dedicated to providing our clients with an immaculate moving service. In order to provide such a service, we can arrange an all-around commercial moving service. It is going to start on the day when we meet with our clients. We are not done helping you getting you back in the business just yet. Until all of your belongings have been unloaded, unpacked and arranged, we’ll stick around. Therefore, if you need a reliable moving company to help you move out of Nevada, get in touch with us today! We will provide you with a free moving estimate in the shortest time possible. If you are not a business owner, but a homeowner moving out of state, interstate moving companies Las Vegas are on stand by, awaiting your call to help you move. Triple 7 Movers is a premier moving company. We are devoted to providing our customers with thorough moving solutions custom made to fit your needs. Whatever kind of service you may require in order to relocate, Triple 7 Movers can deliver. Ranging from bare residential moves to packing and unpacking services, your move is our business. Here at Triple 7 Movers, we approach every move in the most unique way possible. In order to create a moving plan from scratch and perform the move up to the highest standards, we need to take into account all the necessary information regarding your needs. So, we are going to ask you plenty of questions that are important to us as movers and to you as our client. The outcome is going to be the move of your lifetime. Therefore, contact our cross country movers Nevada today and schedule your move with one of the best interstate moving companies Las Vegas recommends. How much time do you think you are going to need in order to transport all of your items at once? Obviously, your answer is going to depend on many factors including the size of your company, if it is a business that you are moving, and how far you are moving. Still, moving all of your items at once can prove to be a task too big to take on. Simply, putting all of those items back together could require time that you might not have. So, in order to make your move a swift one, you might look into the possibility of renting storage units for your excess items. You could those that do not represent a priority stored. Moving them, later on, could allow you to settle into your new office or home easier. In the meantime, your items can find their place in secure storage units in Las Vegas, NV under surveillance and with easy access. All of our storage units are equipped with a climate control system. Therefore, you could store all kinds of items with us. In order to get more information on this subject, give us a call. The top interstate moving companies Las Vegas are at your disposal. 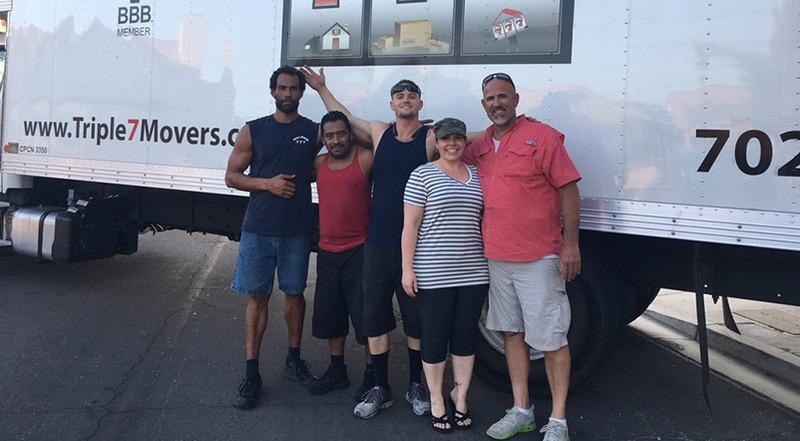 Grab your winnings – hire Triple 7 Movers Las Vegas! If you are looking for moving interstate moving companies Las Vegas for a mover that can help you relocate, you are at the right place. Triple 7 Movers is a trustworthy moving company with an unbeaten track record of successful moves. One of our goals is going to be to complete your move in the best way possible and in record time. 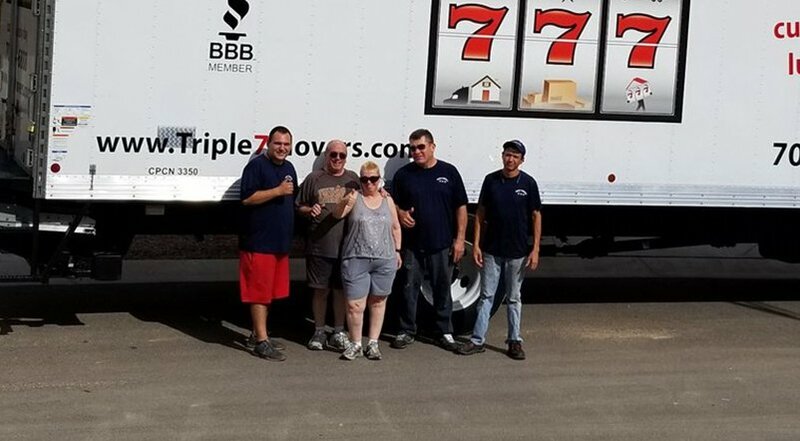 With the right information, we here at Triple 7 Movers are going to come up with a moving plan tailor-made to suit your needs. Therefore, do not waste your time. Get in touch with us today and start preparing for your interstate move.